For surfing and seaside holidays on the wild North Devon coast, it’s hard to beat Croyde. It’s the surf capital of Devon but with lifeguards and sandy shallows it’s also family friendly. 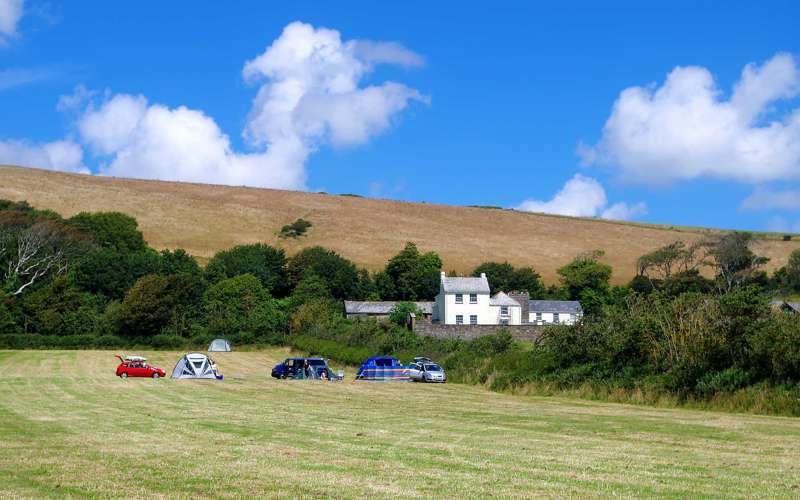 A camping holiday in this beautiful part of the south west is simply the best way to stay if you want to make the most of the scenery that’s earned it a place within the North Devon Area of Outstanding Natural Beauty. After long days on the beach you can flip flop back to a laid-back campsite or luxury glamping site to warm your toes by a crackling campfire. We’ve found the best of them for the Cool Camping collection. 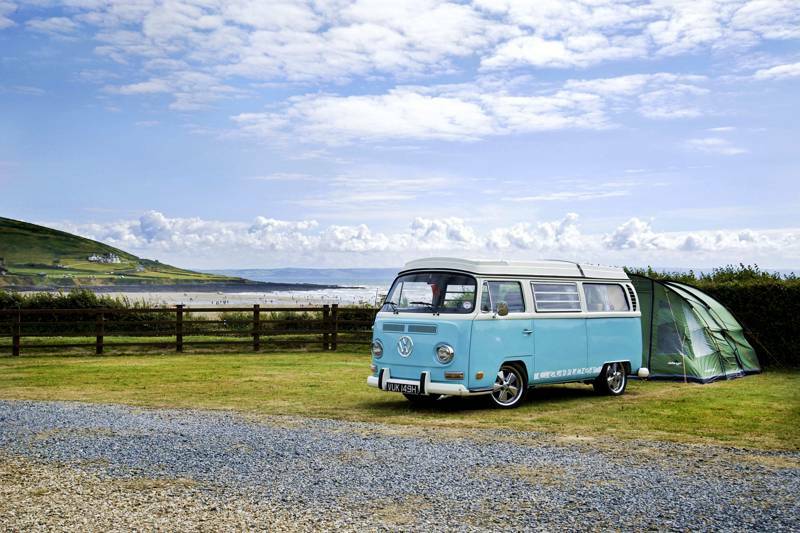 Camping and glamping in Croyde puts you a flip-flop away from one of the UK’s best beaches. Renowned for its surf, Croyde is up there with the coolest of Cool Camping locations. The pretty thatched village behind the beach has a laid-back feel with surf schools, hire shops and places where you can refuel after days on the beach. And it’s not just surf dudes who are welcome on the sands of Croyde’s sheltered beach. It’s also great for families with safe summer swimming and sandcastle building under the watchful eye of the beach lifeguards. 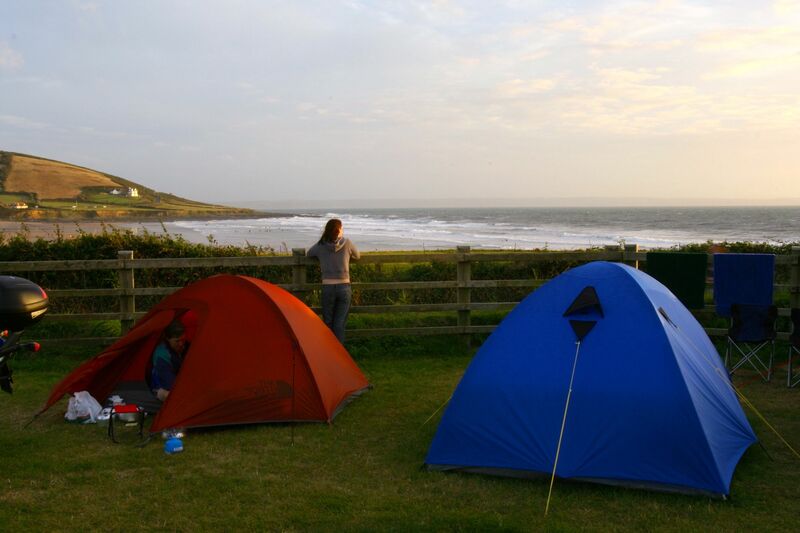 Camping in Croyde has long been one of the most popular ways to stay in the area and there are plenty of campsites where you can pitch a tent or park up in a campervan with a surfboard strapped to the roof. 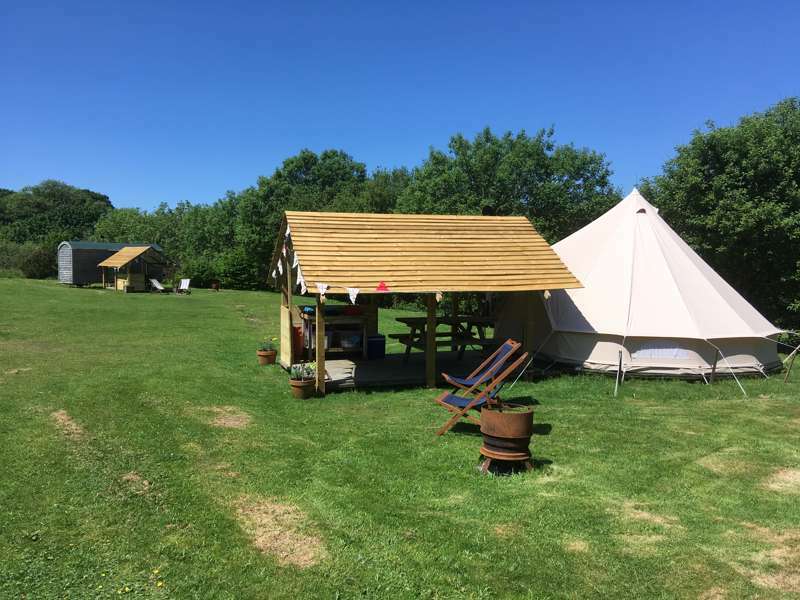 But these days you don’t even have to pitch your own tent to enjoy living in the great outdoors as there’s a great selection of glamping accommodation in and around the area too. 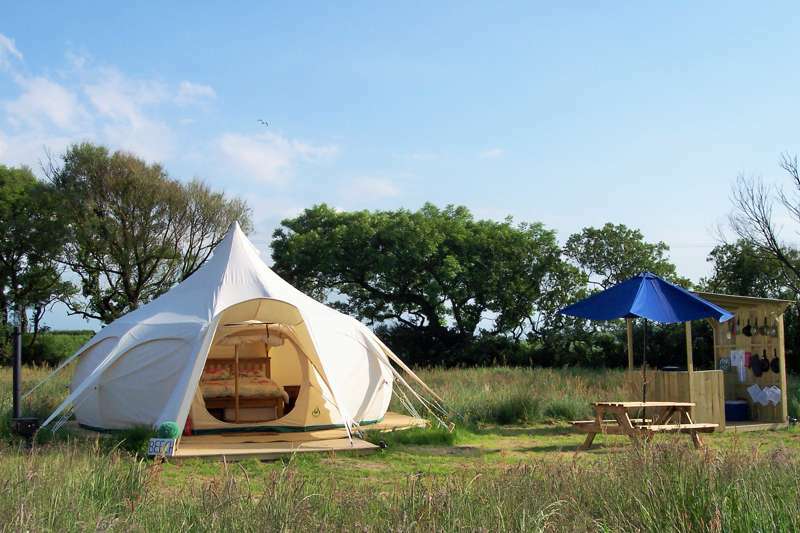 Bell tents, yurts, tipis and treehouses - Devon has it all with some fantastic choices in our Croyde collection. If you’re camping in Croyde, you may well be content to spend all your days on the beach where you can surf, swim and sunbathe to your heart’s content. And if you haven’t learned to ride the waves yet, sign up for lessons at one of the town’s surf schools. Coasteering is another way to make the most of North Devon’s rugged coastline and there are plenty of adventure specialists to show you the safe way to hurl yourself off those cliffs. Walking on the South West Coast Path is a more sedate way to see the views and a great starting point is the National Trust-owned headland north of the beach at Baggy Point. There’s more walking as well as cycling on the Tarka Trail – one the UK’s longest traffic-free routes and part of the Devon Coast-to-Coast cycle way. There’s horseriding too courtesy of the local Roylands Riding Stables who lead regular canters across the sands or in to the countryside for less-experienced riders. June brings Croyde’s annual Goldcoast Oceanfest – when live music, local food stalls and surfing competitions bring the start of the summer’s crowds. There’s no denying that this popular location on the south west coast is bustling in July and August but with Saunton Sands to the south and Putsborough Beach to the north, you’ll always find a place to lay your beach towel. And if you can drag yourself away from the beach, the Devon countryside beckons and Exmoor National Park’s wild expanses are just a half-hour drive away. Croyde Bay North Devon Devonshire Beach Coast Seaside Waves Surfer Surf Surfers Camping Campsites Campsite Campervan Tent Caravan at Croyde Camping, Busy with surfers and home to one of the most popular beaches in North Devon, the seaside town of Croyde is a vibrant and convenient base right on some of the finest coast in Devon. 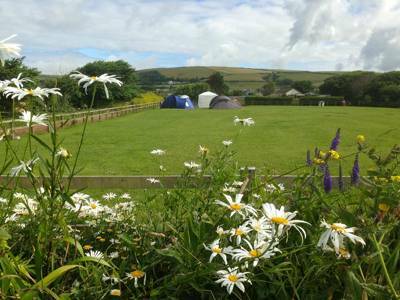 Find the best Croyde campsites with this choice collection from Cool Camping.